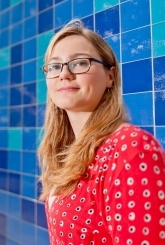 Erin Hartman is an Assistant Professor of Political Science and Statistics at UCLA. Her recent research focuses on creating new methods–including both theoretical approaches and new estimation strategies–for identifying and validating causal effects. In particular, she studies the methods under which experimental findings can be extrapolated beyond the experimental sample. She also studies survey design methodologies, including a new survey sampling method that reduces reliance on post hoc weighting methods and alleviate non-response bias, and an transparent weighting methods that automate the selection of the optimal auxiliary vector on which to weight. In 2012, Erin ran the polling operation for Obama for America’s Analytics department, which very accurately predicted election outcomes in the campaign’s battleground states. She also co-founded a successful analytics and technology start-up, BlueLabs, focused on providing analytics services to clients in politics, issues advocacy, healthcare, and education. Erin holds a PhD in Political Science and an MA in Statistics from UC Berkeley. She was also a post-doctoral fellow at Princeton University.